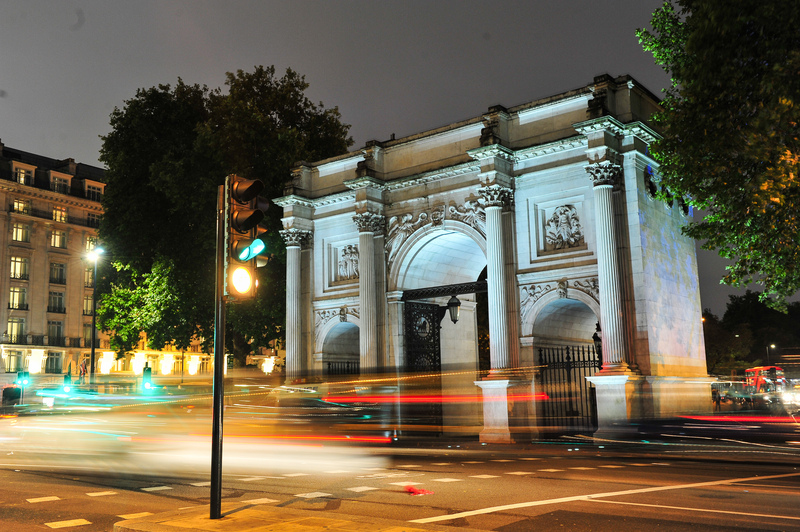 Marble Arch shines bright like a beacon in the night as the uplighting works, which began in June, are now complete.Thanks to the successful joint working between Marble Arch BID and Westminster City Council, their highway contractors FM Conway, and specialist lighting team Armadillo Lighting, our beautiful Arch can be admired from all angles at all times. The fun doesn’t stop there. The new, 32 in-ground LED lighting system includes a colour tuneable function to enable colour washing for themed events. 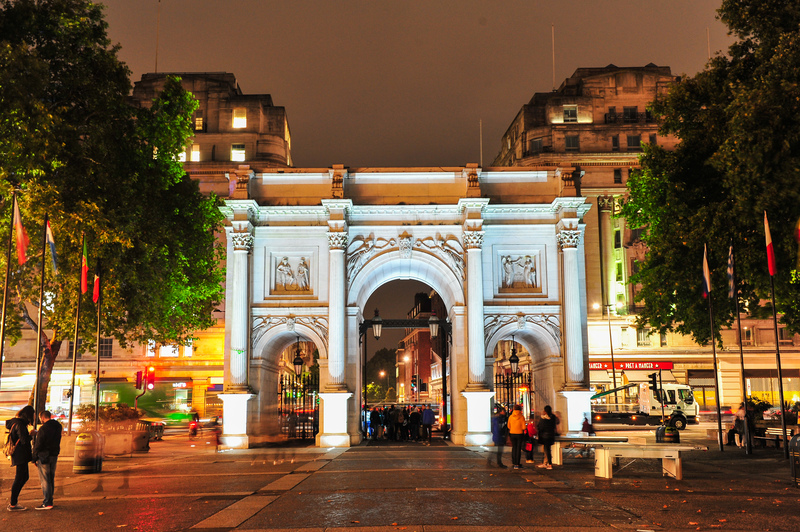 The relighting of Marble Arch is part of the ongoing investment by Westminster City Council at Marble Arch in the last nine months, which is close to £200,000, including the re-lighting and surfacing scheme which is valued at £160,000. The joint management plan between Marble Arch BID and Westminster City Council has provided other areas of investment, like the repairing and repainting of benches and flagpoles at Marble Arch, arrival of new bins and deep cleaning of surfaces below trees to remove pigeon droppings.